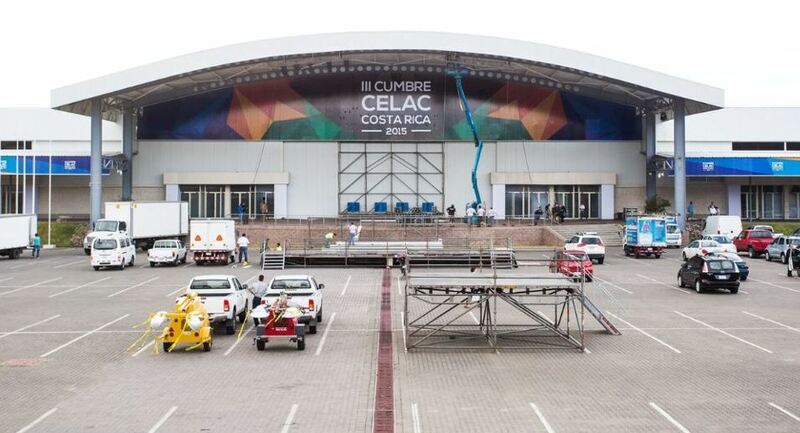 TODAY COLOMBIA – In Costa Rica, attending a summit of the Latin American and Caribbean States (CELAC), Venezuela President Nicolas Maduro on Wednesday defused diplomatic tensions with Colombia that had risen after the latter had called for the release of a Venezuelan opposition leader. “This is not the place to fight, it is the space to come together,” said the Venezuelan leader Nicolas Maduro when asked about his government’s response to Colombia’s request to release opposition leader Leopoldo Lopez from jail. However, when the two heads of state met at the summit on Wednesday, both made a clear effort to diffuse the tension. Santos took the first opportunity to calm the waters between the neighbors and thanked those countries that have supported the Government in this process to end the conflict in Colombia. “Today I want to thank, in particular, Cuba, Venezuela and Chile for their generous collaboration with our process. And thanks to all the countries of Latin America and the Caribbean for their continued support, “said Santos. 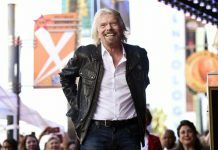 “Every day brings us closer to the possibility that conflicts and differences internally and internationally can be overcome. They should, through dialogue, understanding and respect,” emphasized the Colombian president. 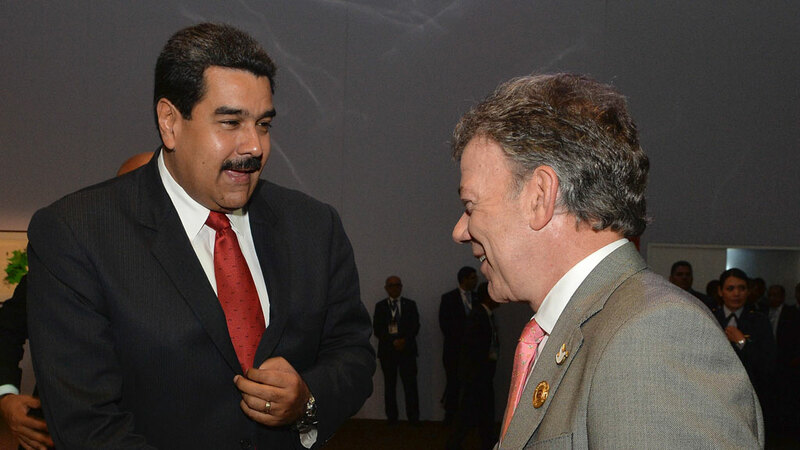 Soon after President Santos’ speech, Maduro said that the political differences with Colombia will be solved bilaterally and that despite the criticism from Bogota to his government, Venezuela will continue to support the peace process. “Beyond political differences we have and that resurface from time to time … sorry, this is not the place to fight among ourselves, we solve our differences bilaterally. Despite our sorrow over the recent attack, Venezuela is at peace with Colombia, “he added. The bilateral ties between Venezuela and Colombia have only been somewhat stable since Santos took office in 2010. At the end of the administrations of former president Alvaro Uribe (2002-2010), the late Venezuelan President Hugo Chavez cut diplomatic ties with Colombia over allegations that he was supporting Colombia’s oldest rebel group, the FARC, which maintained a presence in Venezuela and other neighboring countries. The breaking of ties caused a major collapse in trade between the two countries and put major economic pressure on the border regions that depend on bilateral trade. 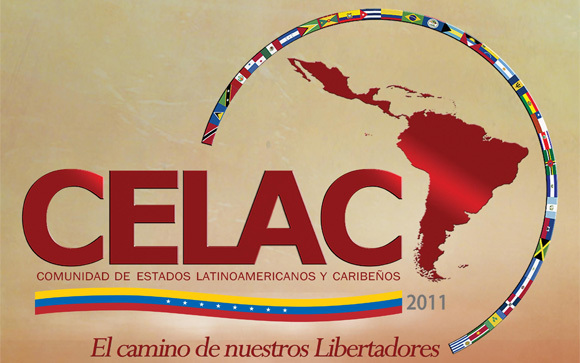 The resumption of ties recovered the economic losses and allowed Venezuela to help Santos establish peace talks with the FARC with whom formal peace talks began in November 2012. However, the recovered diplomatic relations also made Santos vulnerable to criticism by the hardliner Uribe who turned against Santos and continued his fierce opposition to Venezuela’s left-wing government. Meanwhile, Bogota was unable to take an explicit position as the economic, political and human rights situation in Venezuela worsened after Maduro took office in 2013. Additionally, the Santos administration had to swallow ongoing accusations of informal Colombian interference in Venezuelan internal matters and human rights abuses allegedly committed against Colombian citizens. This period of walking on diplomatic eggshells ended on Tuesday when Bogota openly sided with Venezuela’s conservative opposition. 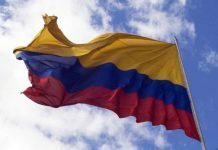 The post Venezuela defuses diplomatic tensions with Colombia appeared first on Colombia News | Colombia Reports.